Jennifer Wilmoth loves to help people bring to reality results they thought were impossible. 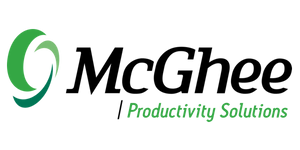 Starting at McGhee Productivity Solutions in 2002 as Founder and CEO Sally McGhee’s Executive Assistant, Jennifer has grown with MPS from the beginning. She has worn many hats, working in operations, finance and legal and HR before finding her true passion in full-time consulting in 2006. Jennifer now holds the esteemed title of Executive Consultant; a position which required hard work and dedication to achieve. She loves solving puzzles; she views herself not as a problem solver, but a solution finder. She helps her clients to get out of their own way and consistent feedback that her work is changing people’s lives continues to inspire and motivate her. Jennifer has had the opportunity to create derivative works of the original MPS Take Back Your Life program. The “Optimizing” series MPS launched in 2017 along with the most recent “Driving Productivity through Microsoft Teams” are accomplishments she was excited to contribute to. She especially enjoys the relationship between EAs and their Executives and loves to foster that partnership and create optimal success. Jennifer is a fun-loving spirit and brings that energy into the room while also ensuring results for her clients. It’s creating whatever we want. Once we figure out what that is, from there, it’s simply a matter of focus and action – allowing us to cause anything and everything we desire! Our Alignment and 1:1 coaching work. What’s not to love when: the Sales Leader calls to celebrate that the team we did alignment work with ranked #1 for the first time ever, or the county government team received an award from the state and they in-turn acknowledge us for their best practices or we get a thank-you note from an Executive’s spouse thanking us for the vacation they finally took. The strategic nature of coaching leaders and high-function work teams creates results that are a “game-changer” and “has changed my life”. Maintaining our beautiful oasis of a backyard (ok… I’m pulling weeds, replacing dead plants or fixing a sprinkler), reading, praying for snow so I can snowshoe without driving 90 minutes, running my little park or walking the dogs. Really any excuse to be outside. Creating an environment where people are responsible and accountable. Not only does it put them in a place of personal power, but when they recognize that something isn’t working for them, rather than being a victim to circumstances they have the tools and power to influence and cause different outcomes.